Hand and flask with liquid. 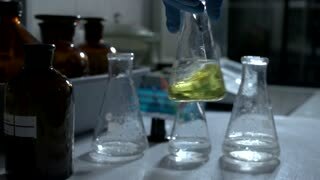 Yellow fluid dripping into beaker. Mixture of dangerous reagents. Experiment in a lab. 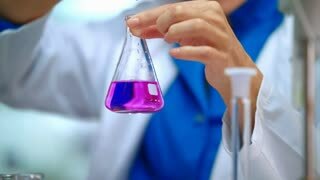 Hand holding beaker with fluid. 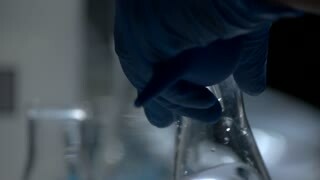 Liquid splashing inside flask. Be careful with the reagent. Experiments and results. Hand holding beaker with liquid. Flask with purple fluid. Make a contribution to science. Revolution in chemistry. Hand and beaker with liquid. 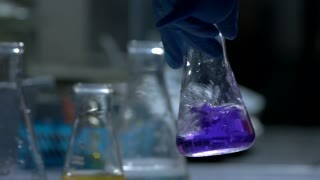 Purple fluid splashing inside flask. From mistakes to results. 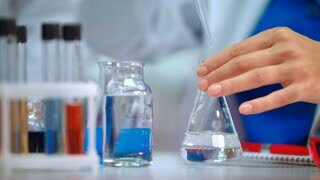 Work in chemical lab. Hand holding flask with fluid. 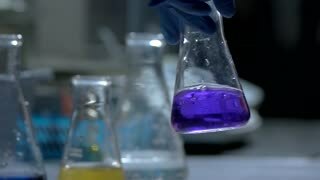 Purple liquid in a beaker. Develop cure against dangerous disease. Need more experiments. Hand and flask with fluid. 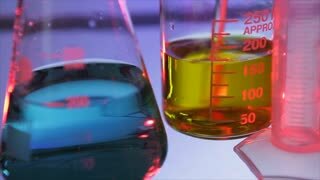 Beaker with yellow liquid. 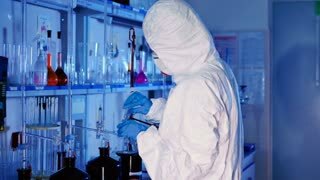 Work in scientific lab. Progress demands bold decisions. 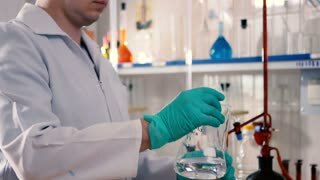 Hand in glove holding beaker. 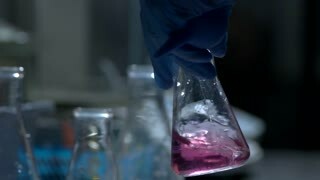 Transparent liquid in a flask. Scientist continues experiment. Find the right formula.